Efficient and user-friendly applications for modern interaction with fans to gain more visitors and grow revenue. It has never been easier for sports fans to buy tickets. Combine meaningful data about visitors and turn them into understandable profiles and reach target groups on their mobile phones. It will become easy for your fans to buy tickets. Use our smart ticketing technology to open ticket shops for casual sales as well as for (season) subscriptions. Sports clubs can easily become visible on mobile devices to sell tickets. 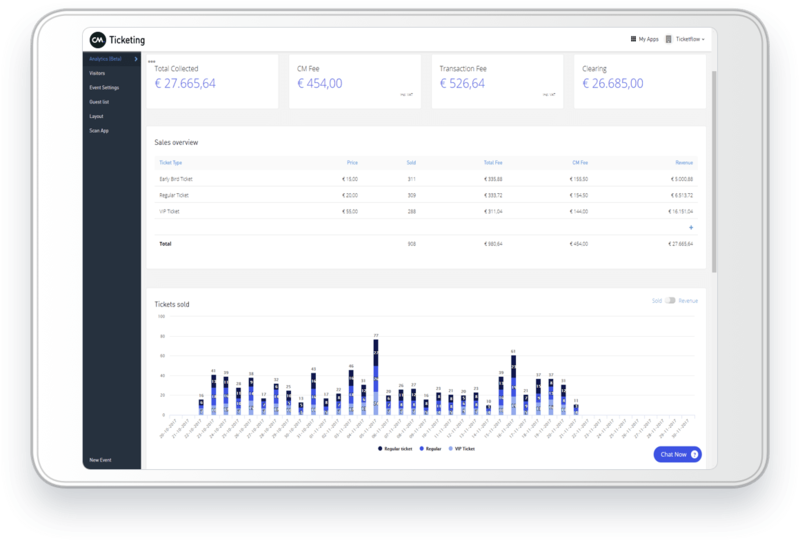 Start using our seamless platform - combining (seated) ticket shop solutions, sponsor ticketing solutions, marketing tools, data profiling and worldwide payments - today. All in one place. Revenue increases when you get to know your visitors. Combine all information about your customers, build on comprehensible profiles and create sales opportunities. All of this in one easy-to-understand dashboard. Gather meaningful data about your visitors and hidden fans and automatically send personalized sms, email and audio campaigns to selected target groups. Increase the number of loyal visitors to your club. A personalized message gets noticed. Easily and effectively attract attention. Reach your fans by sending messages through their favorite communication channels: text messaging, emailing and voice messaging. Use our easy-to-use campaign tools to quickly send personalized messages to large customer databases. Real time delivery and interaction statistics of all your campaigns make it easy to measure success. Full stadiums are important for sports clubs to maximize sales results. A significant part of the revenues come from food and beverages sales. Sometimes season ticket holders can not attend a match. This results in empty seats. Secondary ticketing makes it possible to resell vacant stadium seats per match to others. Let season ticket holders sell their tickets in one click to generate greater revenue. SMS is an effective communication channel with a fast delivery time and a high open rate. Using Campaigns you easily send personalised messages to your audience. Email is one of the most widely used communication tools. With Email campaigns you send personalised emails to your visitor databases without any required technical knowledge. Audio is a powerful means to convey a message. 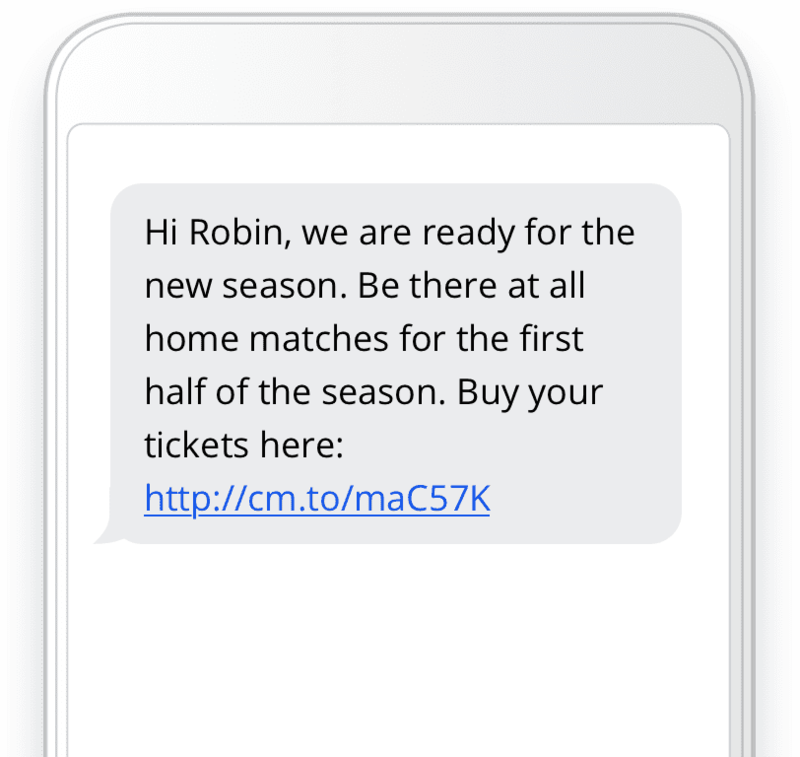 Send pre-recorded audio messages to your visitors, fans and season ticket holders and grab the attention. Those who visit a festival regularly, are familiar with the online platforms on which you can buy and sell second-hand tickets. For consumers an easy way to sell a ticket or to take over a ticket - even just before the event takes place - from someone else. This resale phenomenon is called secondary ticketing, and has entered the sports market.